Will King Obama throw nuns into the lion's den? We are witnessing a modern day version of King Darius ordering that Daniel be thrown into the lion's den for refusing to deny his faith. 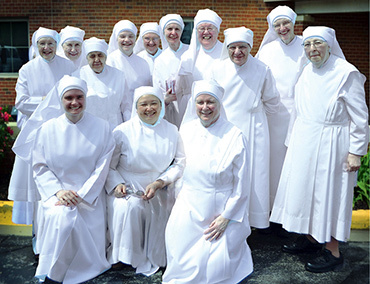 Either the Little Sisters of the Poor ministry submit to King Obama's decree or die; metaphorically thrown into the lion's den. Displaying deceit characteristic of our Liar-in-Chief, Obama's DOJ have offered the Little Sisters a serpent disguised as an olive branch. The DOJ told the Little Sisters that if they would simply sign a document condoning abortion services for their employees an exemption from the mandate would be granted. The wise Little Sisters refused to sign what they perceived to be a "permission slip" for abortion services; a back door scheme by the DOJ to get the Little Sisters to betray their religious faith. It is profoundly evil to persecute a Christian ministry that has been ministering to the needy for 175 years. Surely, the DOJ has to know that legally bludgeoning the Little Sisters of the Poor into submission will be a PR nightmare for the Obama Administration. So why is Obama's DOJ hellbent on forcing the Little Sisters to betray their commitment to God? The answer is our country is under siege in the process of a tyrannical hostile takeover. The Obama Administration has transformed governmental agencies into his iron-fist enforcers. Their laser focused mission is to assist in the full implementation of the liberal socialist/progressive agenda; Obama's vowed fundamental transformation of America. Like every hostile takeover by a regime, opposition is dealt with swiftly and severely. Everyone must be politically beaten into silence and submission; even the Little Sisters of the Poor.